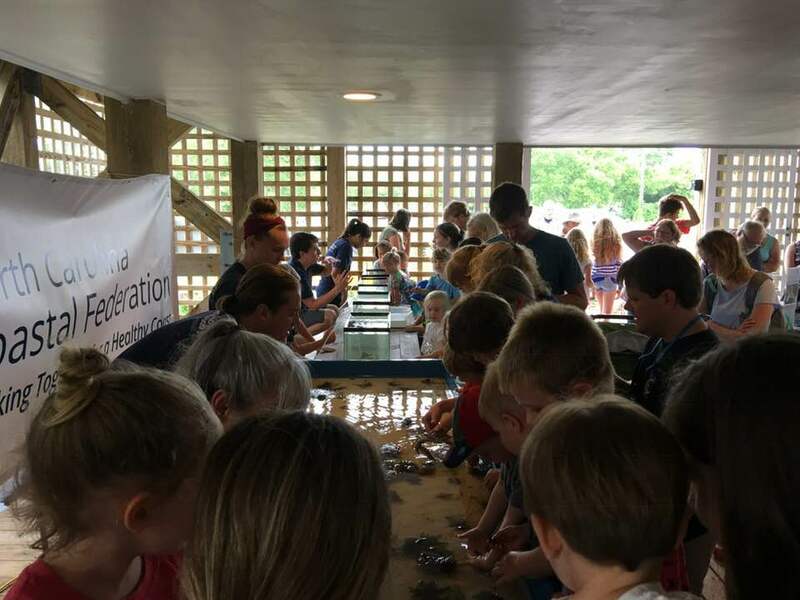 The month of June kicks off Touch Tank Tuesday at the North Carolina Coastal Federation’s Wrightsville Beach office. 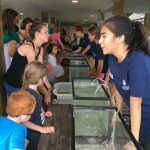 The first two programs have already educated over 300 people, a record number for Touch Tank Tuesday. 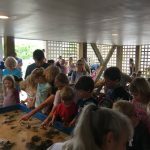 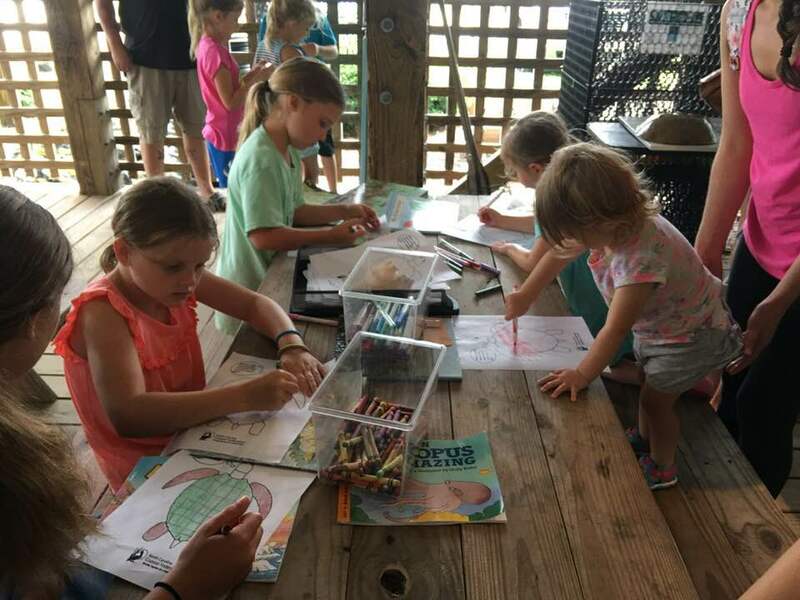 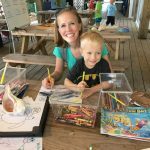 At Touch Tank Tuesday visitors of all ages can drop in and interact with different plants and animals that are found in the waters surrounding Wrightsville Beach. 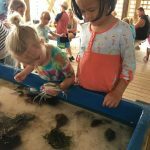 Marine creatures range from sea urchins and crabs to algae and whelks. 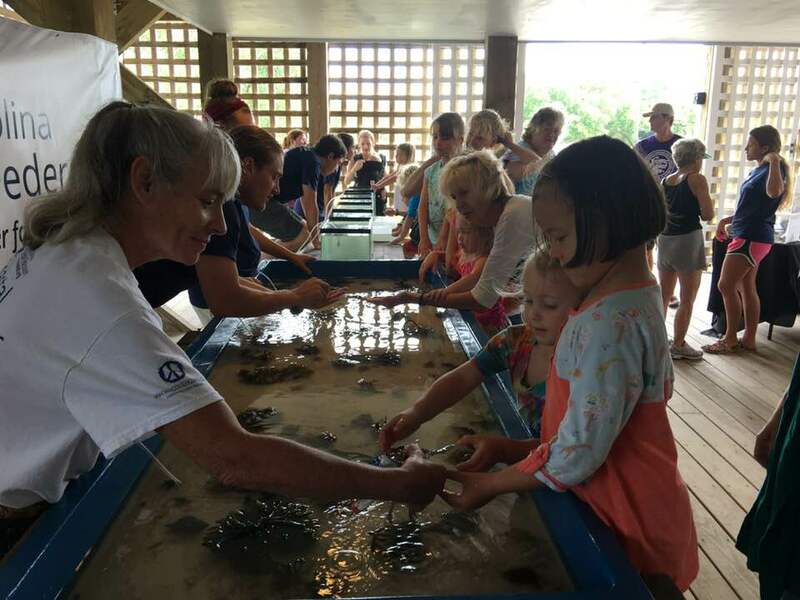 During the event, visitors can learn about how they contribute to the coastal environment. 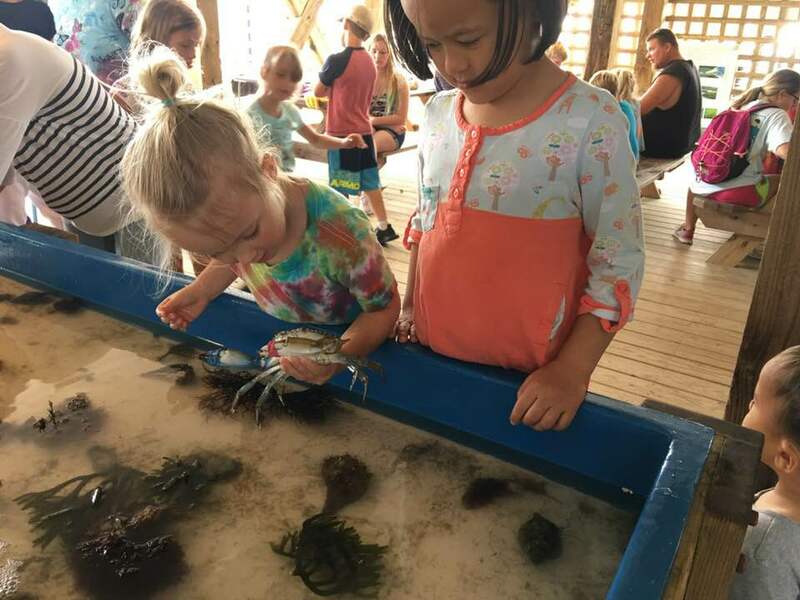 Additionally, guests can use microscopes to view coastal organisms and create arts and crafts related to the coast. 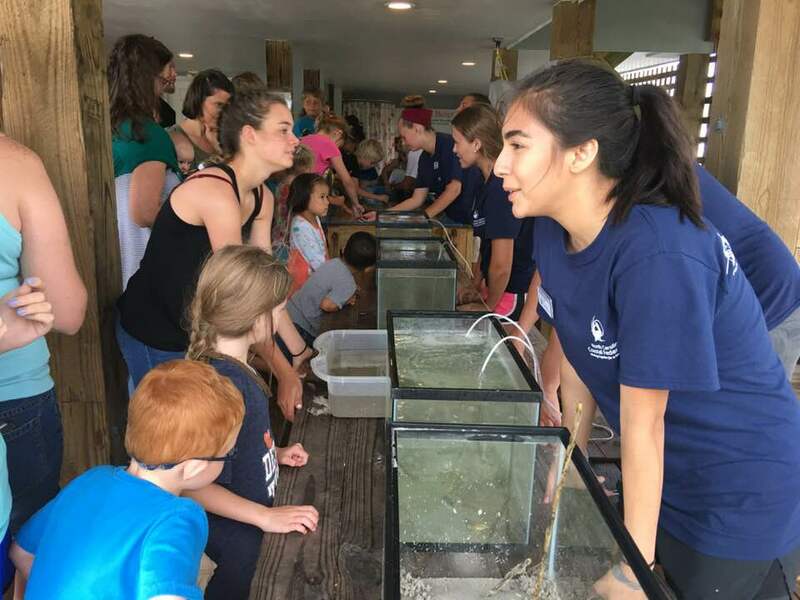 On June 11, Jessica Gray, coastal outreach associate at the federation’s Wrightsville Beach office, hosted a training for the Southeast Coastal Ambassadors. 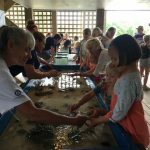 The Southeast Coastal Ambassadors are a group of volunteers who represent the federation at festivals, programs and other outreach events like Touch Tank Tuesday. 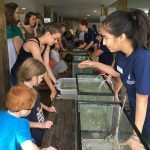 At this training ambassadors learn how to the prepare for Touch Tank Tuesday. 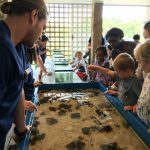 The group explored the salt marsh, combing the shoreline in search of hermit crabs, sea urchins, tulip whelks and any other interesting finds. 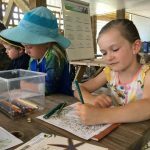 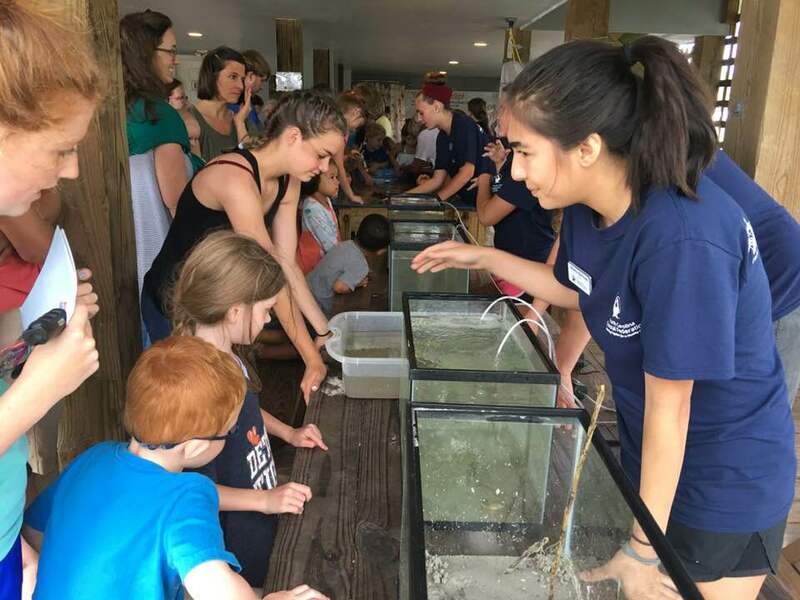 Using seine and dip nets, the ambassadors collected a variety of critters that highlight what inhabits the estuarine ecosystem to use for the Touch Tank Tuesday program. 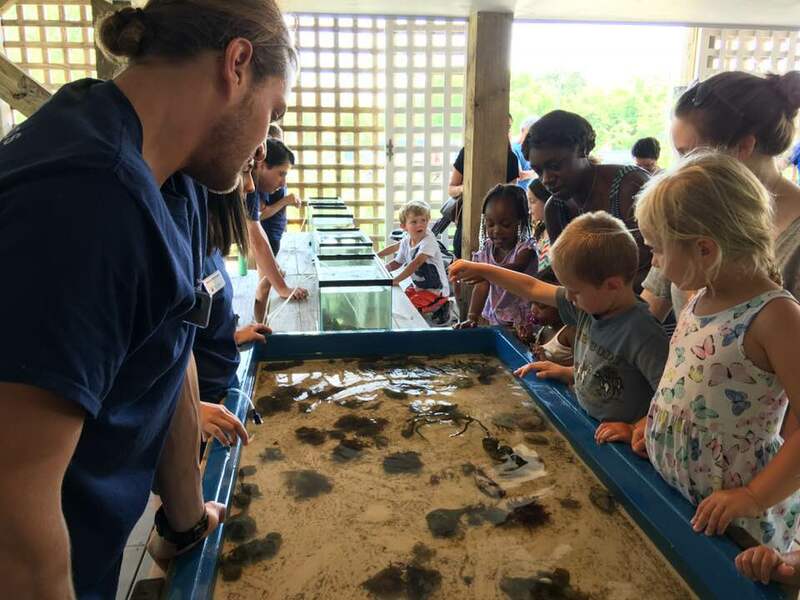 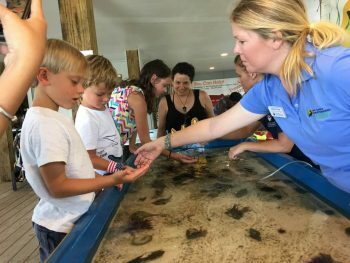 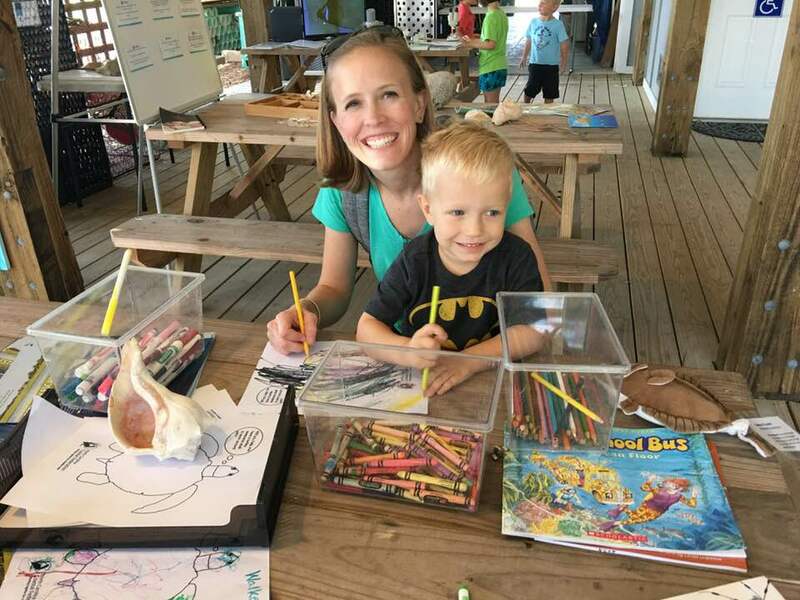 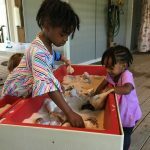 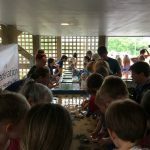 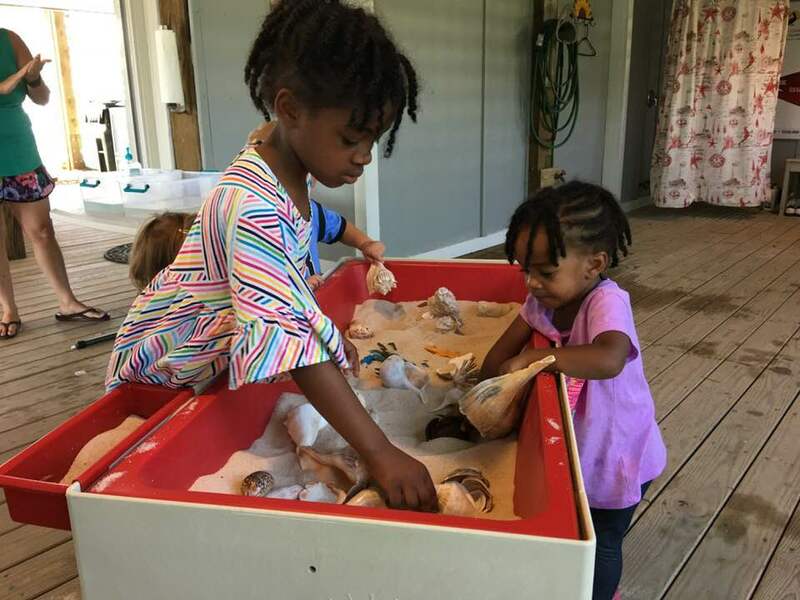 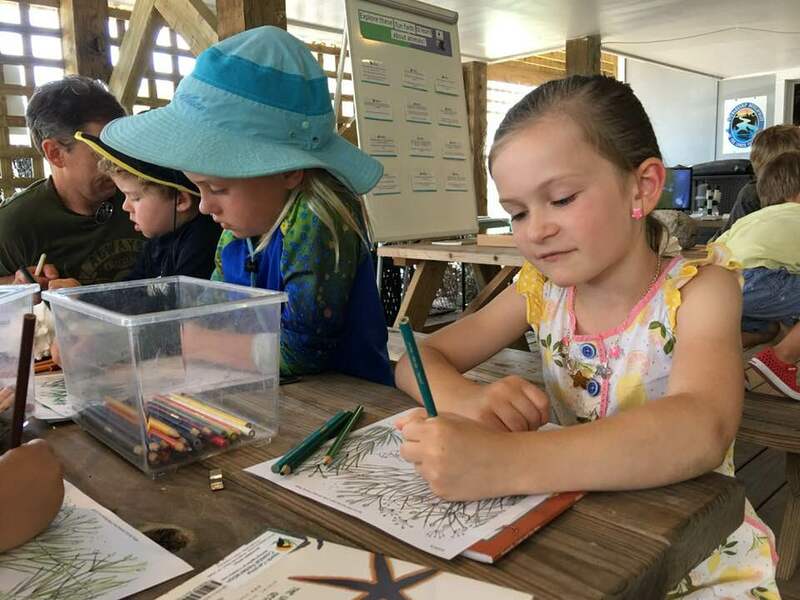 “Touch Tank Tuesday provides everyone in the community, whether they’ve lived on the coast or are just experiencing it for the first time, an opportunity to learn about the marine life and habitats that are unique to the North Carolina coast” said Kate Conery, AmeriCorps member. 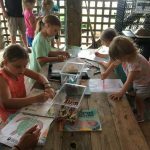 While the event is free, donations are welcome and will benefit the federation’s education programs. 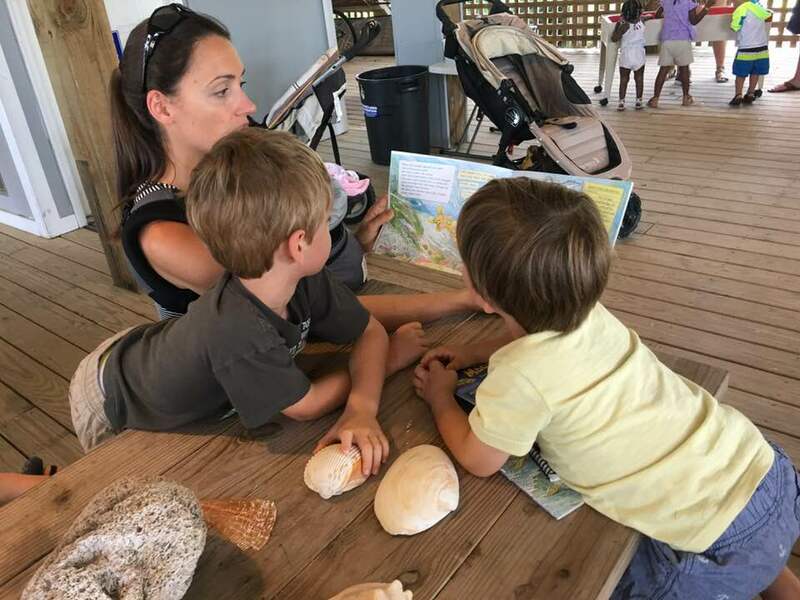 This event is held every Tuesday until August 28 from 10 a.m. to 1 p.m. at the Fred and Alice Stanback Coastal Education Center. 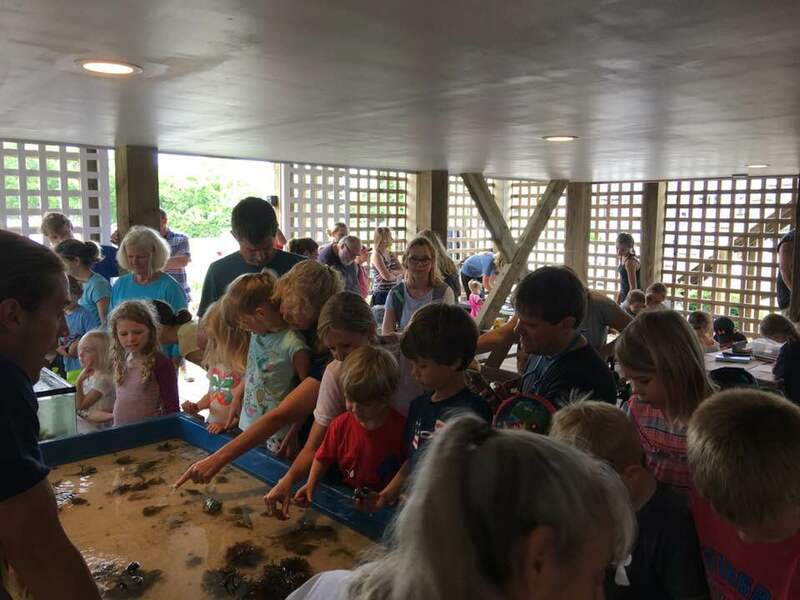 For more information about Touch Tank Tuesday or the Southeast Coastal Ambassador group visit nccoast.org/events or contact Jessica Gray at jessicag@nccoast.org or 910-509-2838 ext. 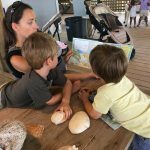 204.